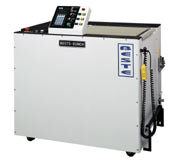 Creates tight, registered web for pinless paper and provides motor and controller for down stream pinless devices such as punch and perf processors, folders, T/C/S units. 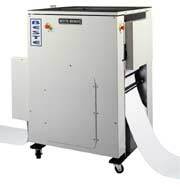 Adds line holes, file holes, punch patterns, cross perforations, running perforations to the web. 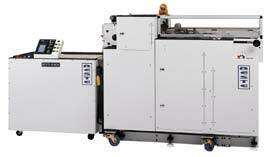 Selectable perforating unit adds perforations to individual pages as required within the run. DSP adds up to one cross perf per page. QSP adds up to two cross perfs per page. 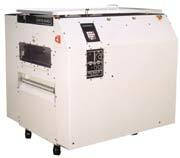 Allows fanfold output from digital color devices and high speed tight web printers. Model 910 and Pinless TCS.